The cap, in golf ball white, compliments the fairway green barrel; all of which are fashioned in stylish Italian resin. 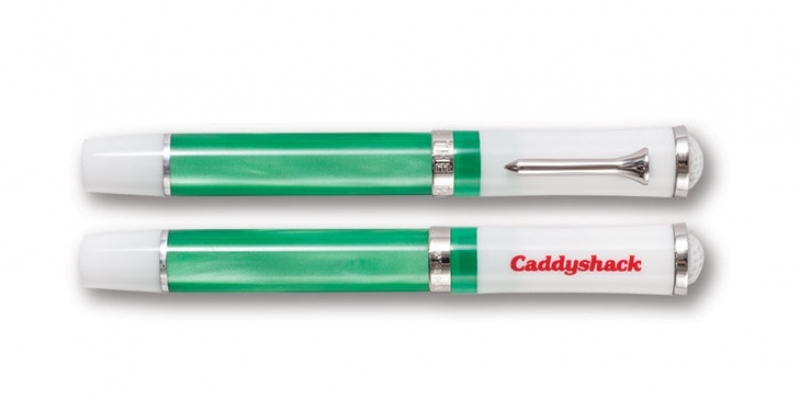 The replica golf tee clip highlights the cap and features the Caddyshack logo. The top of the cap, resembling a golf ball, is the final element to complete this fun writing instrument. It’s in the hole!!! It’s in the hole!!! Each pen comes in a lacquer Caddyshack box.